Cheryl Stinson always dreamt of learning to surf. 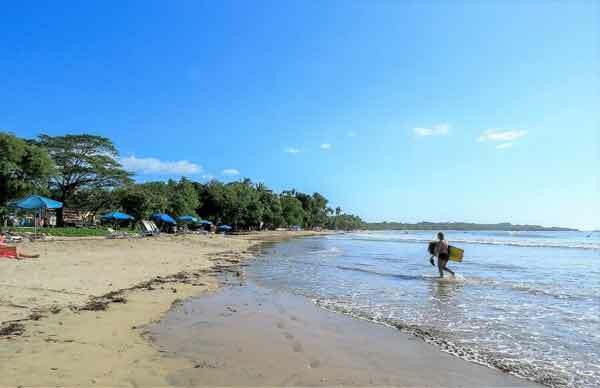 When a Google search result came up for Witch’s Rock Surf Camp in Tamarindo, Costa Rica, not only did her dream come true, it also turned out to be the start of a new sunny chapter for the Ottawa native. Arriving for her surf camp in December 2015, Cheryl knew nothing about Costa Rica…she thought it would be just another tropical destination like others she’d visited before. “But boy was I surprised,” she admits. “Seeing a bunch of surfers walking with their dogs off-leash along the beach was a great first impression for me,” says dog-lover Cheryl. 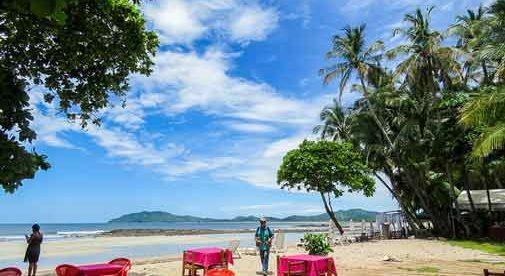 With a job that allows her to work remotely and also have a bit of control over her schedule, Cheryl’s “day-in-the-life” in Tamarindo is pretty much a beach-lover’s dream. “I get up early and either hit the waves or take a long walk with my dog along the beach. Afterwards, I’ll often stop by La Princesa Cafe for some coffee and a chia oat jar, or I might grab a smoothie from the food court in the center of town,” she explains. “Then it’s back home for a day of work. For $92,000, Cheryl purchased a two-bedroom, two-and-a-half-bathroom condo just a few minutes’ walk from the beach, and the center of town, in a gated community with 24-hour security. “You can’t beat the location and I really liked that there is a pool as well.” The condo needed a bit of work and came unfurnished, but for the low purchase price, those extras were affordable. “In terms of cost of living you can also save some money by making your own food and shopping at the Tamarindo feria (food market) as much as possible—I find much better deals there than at the grocery store and I enjoy meeting the local vendors,” she says.